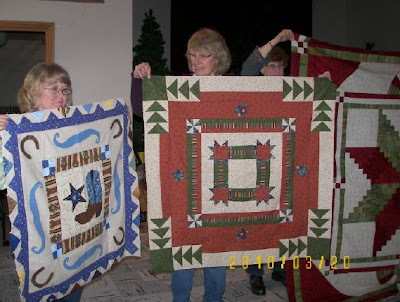 Elaine Adair Pieces: A Plethora of Round Robin Border Challenges! 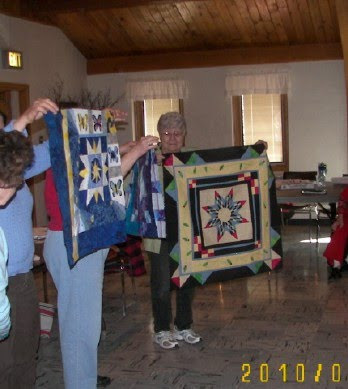 Saturday, everyone at Guild received their Challenge Mystery Projects back - sometimes this is called a Round Robin. We added borders. The owner started with "a Star". Next clue for the next person who received the box was "add a 4-patch or a 9-patch." 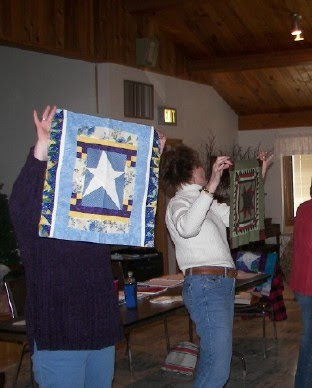 Next clue was "add a curve to at least 2 sides." Final clue was "add a triangle." What creativity - what variety!!! I missed a few photos, but here is a great sampling! Mine was already posted. Dorothy, from the Wizard of Oz, was a different sort of 'star'! What fun! " 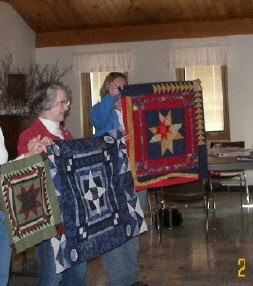 Wow - you had a lot participate and what wonderful quilts. 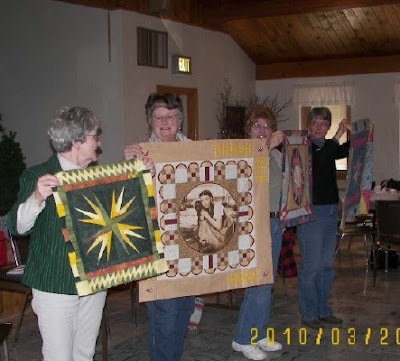 Very creative quilts. All so different. So many creative possibilities. Thanks for sharing. Thank you for sharing these. My little group might like the same set of instructions for a Round Robin. Really nice results, and such a variety! 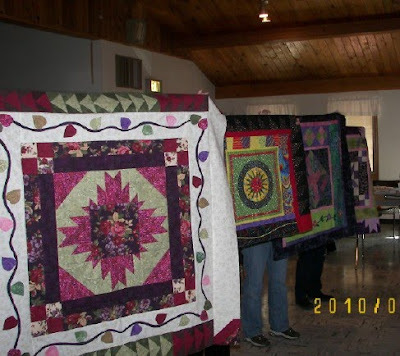 These quilts are all so imaginative...inspiring!!! 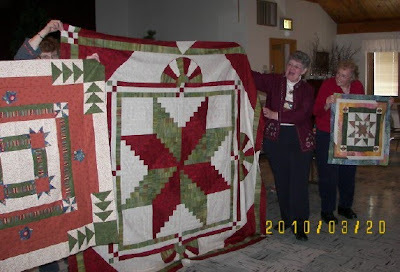 I just love round robin quilts like this! It is so fun to see them evolve! Wow! What fun! And what variety! It is so much fun to see what everyone comes up with even when the directions are the same! Thanks for sharing. They are all so different. And wonderful! 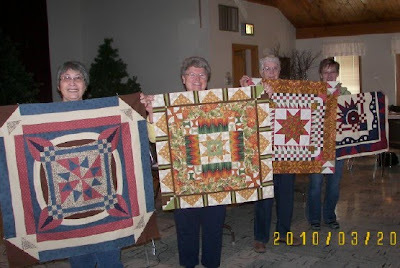 What a wonderful grouping of quilts. 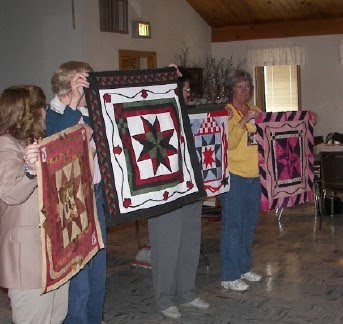 It is fun to see what happens with Round Robin quilts. Yours is really nice. I like your center star. 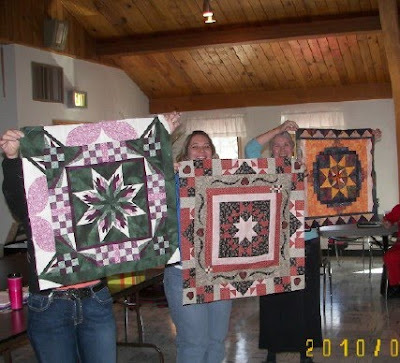 I am amazed that so many ladies participated in your swap. What fun!